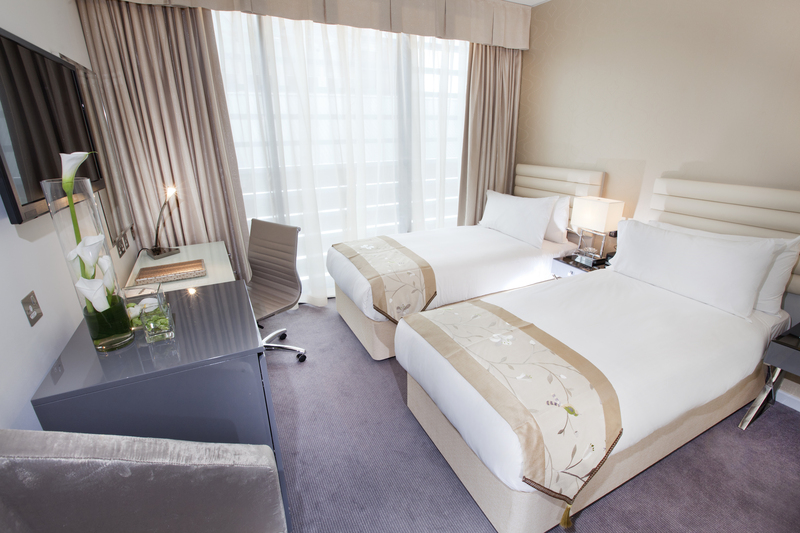 Fastidious over details, this Flagship Hotel was designed with every comfort in mind and has pedigree. Dorsett Shepherds Bush is part of a fast growing Asian hotel chain (currently 22 hotels) with a second hotel in Aldgate, currently under construction. 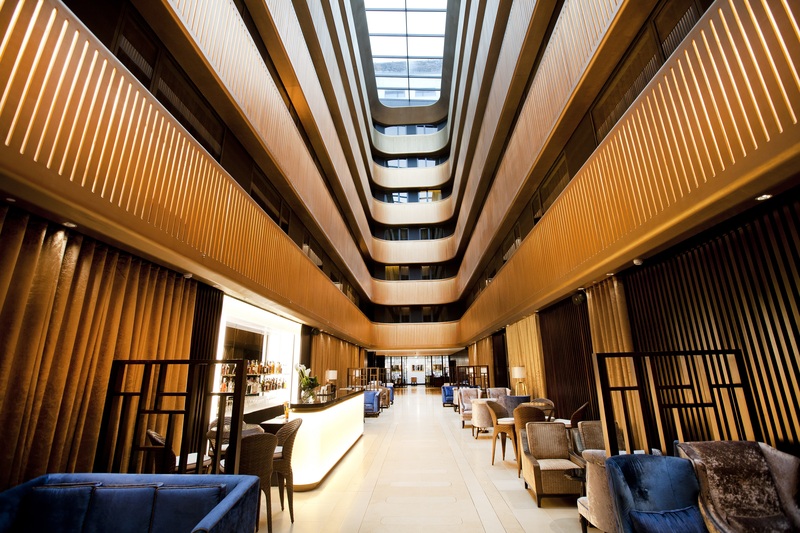 Dorsett Shepherds Bush is innovative, stylish chic, delightful and inviting. Sheer contemporary elegance takes you into a different world. 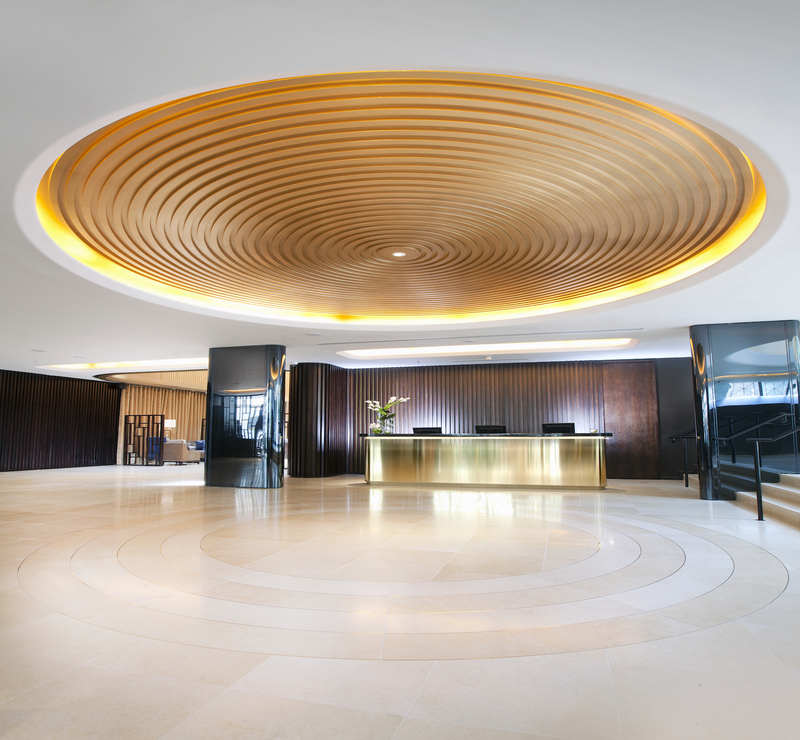 The stunning golden atrium in the lobby and interior balconies create a sense of space that instantly transport you to a major hub like Manhattan. 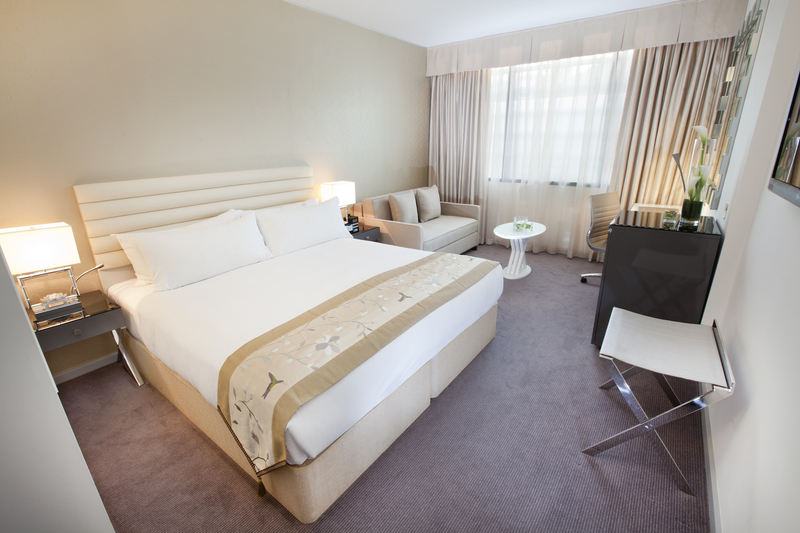 But importantly, the rooms/suites continue this sense of sheer elegance and cosmopolitan indulgence. Dorsett Shepherds Bush has a sense of purpose, a sense of achievement, a reward for enjoying the benefits of hard work, but subtly steers away from feeling ostentatious. Originally built in 1923 as a cinema, the Pavilion was voted the best London façade until it was badly damaged by a flying bomb in 1944. In 2014, re-developed into a four star hotel, the Grade Two listed façade and sides of the Pavilion were fortunately preserved. The 317 rooms including 24 suites benefit from all modern conveniences including individually controlled air-conditioning, large flat screen Tvs, iPod docking stations, work desks, drink making facilities including a small fridge and complementary wi-fi. 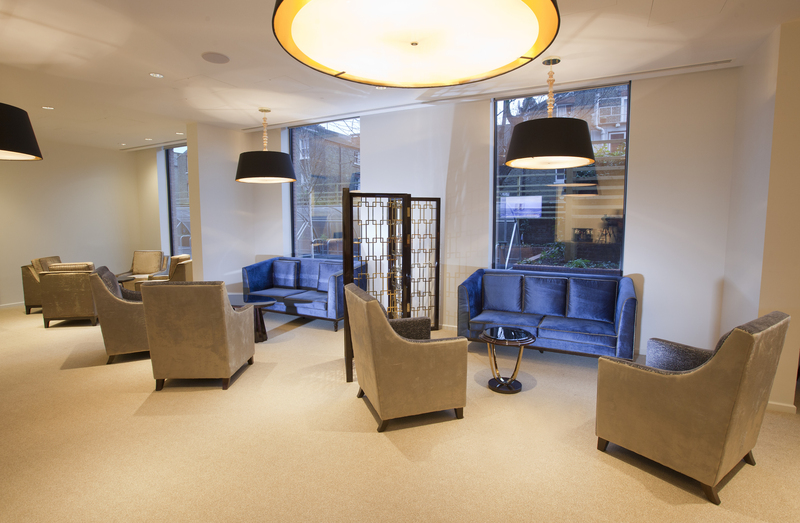 For guests in Executive rooms and above, the Dorsett Lounge serves as a place for work or relaxation, and provides free refreshments throughout the day. Offering a European menu, Pictures is the ideal place to enjoy great food. Everything on the menu is prepared in house using only the freshest ingredients delivered by carefully selected suppliers. 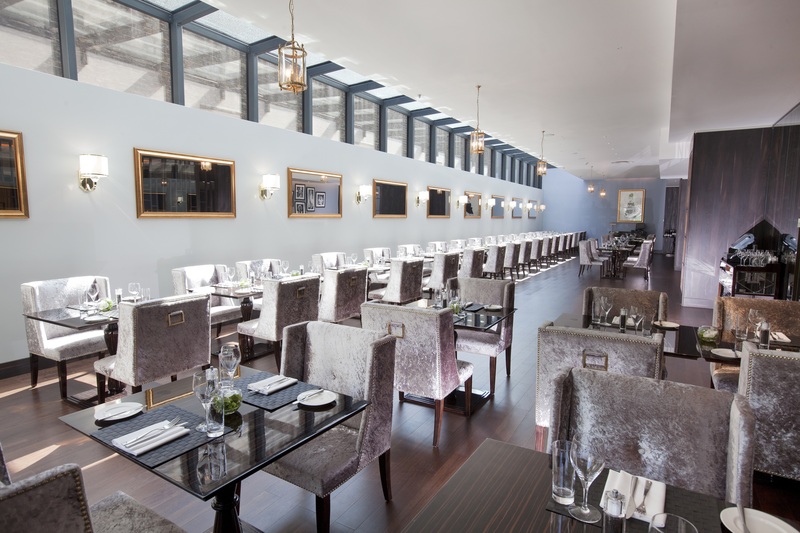 Pictures is an ideal location for breakfast, lunch or dinner with set menus and selected lunch promotions available. Diners can enjoy an enticing range of beers and wines, as well as take advantage of the innovative cocktail menu in Jin. Rewind in the soothing atmosphere in Jin with our Afternoon Tea offering, served daily. Indulge in a choice of speciality tea, finely cut sandwiches, freshly baked scones with jam and clotted cream and a range of homemade cakes. A glass of Champagne can be added to complement this British tradition when celebrations are in order! 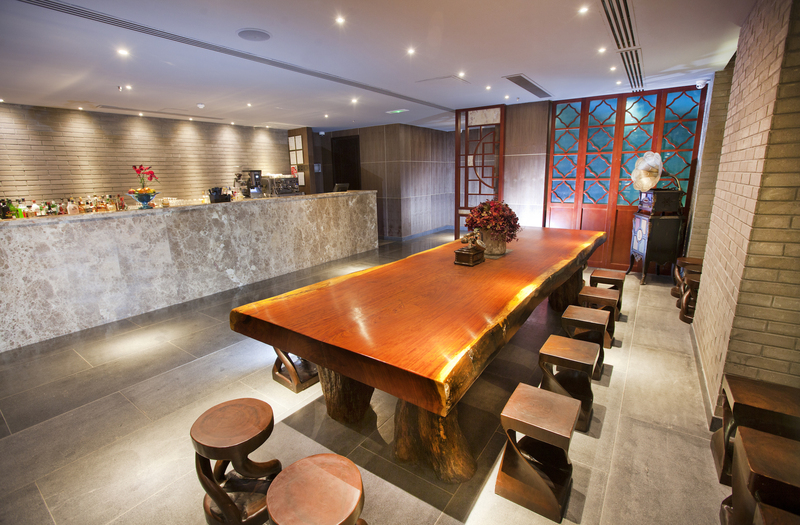 Jin also serves freshly ground coffee whilst also boasting an inventive cocktail menu and an extensive wine list. Shikumen carefully sources ingredients ensuring the highest quality Asian dishes are served with exceptional value for money. The dining room is a large modern open space with many wooden space dividers influenced by the gate buildings of 1940s Shanghai. Shikumen is equally suited as an elegant choice for supper or a long leisurely lunch with the menu offering a wide variety of homemade Dim Sum and Chinese teas. 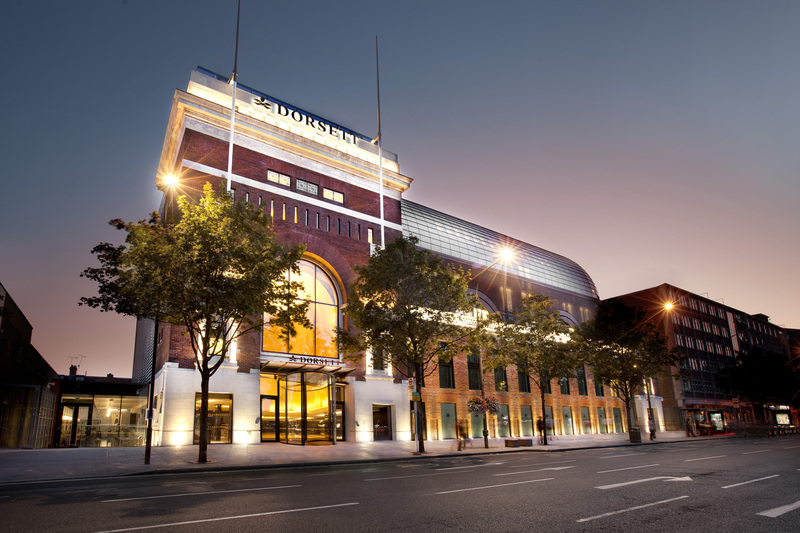 Dorsett Shepherds Bush has a 24-hour gym and the wonderful Adeela Crown Aesthetic Spa. 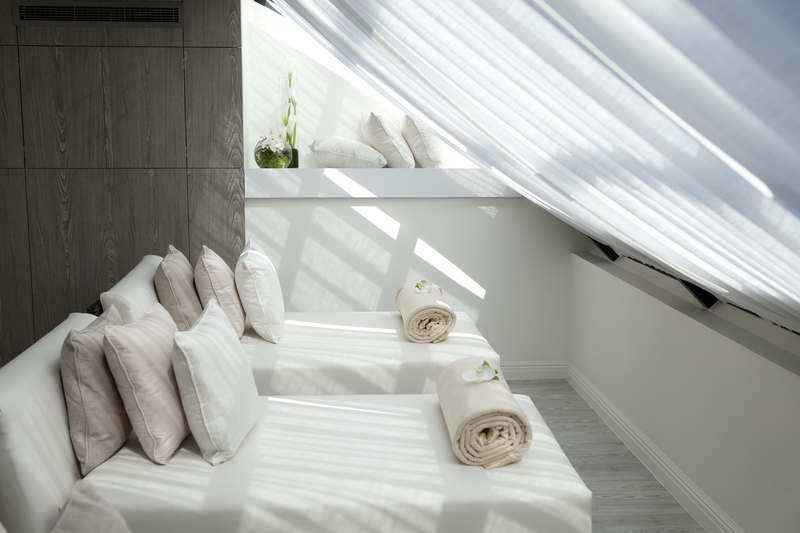 Situated on the top floor, the Spa boasts 4 treatment rooms, and complimentary sauna and steam facilities for all overnight guests. 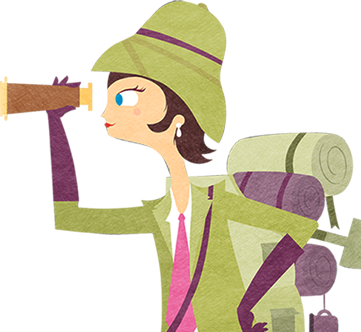 Additionally, there is a business centre complemented by valet parking. London Heathrow and Gatwick airports are a 30 and 60 minute drive, respectively. Shepherds Bush, a resting place for shepherds on their way to Smithfield Market is famous for the Beatles, who made their first ever BBC broadcast from Lime Grove Studios in 1963 (sadly demolished since). It is also an excellent hub with great transport links (five tube stations and eighteen bus links) to all major tourist spots including Kensington Olympia Exhibition Centre within a 5-minute drive and Oxford Street within 15 minutes via the nearby Central line. Westfield Shopping Centre, home to more than 300 stores and restaurants is just a 2 minute walk and the O2 Shepherds Bush Empire is just next door.